Jermell Mitchell proudly served in the United States Navy for five years. He was injured while serving, but he immediately moved on and continued working in and around Philadelphia. In the spring of 2014, he lived in Berks County with his girlfriend, and they were expecting a child. His daughter, Aaliyah was born on November 22, 2014. She was one of the reasons he first came to Berks Community Action Program, Inc. (BCAP). In 2015, Jermell found himself without a job as new father. Soon after he met a man who told him about the “Promoting Responsible Fatherhood” (PRF) Program at BCAP. Jermell came in on April 9th, 2015 and talked with the PRF Coordinator, Stephan Fains. At first, Jermell didn’t say too much about the situations that brought him to BCAP. Over the next three to four months, as he worked with Stephan, he began to trust in their relationship. He told Stephan he needed to find a job and find a place to live. Aaliyah’s mother was having serious issues, and the authorities were giving him sole custody. He needed help fast. 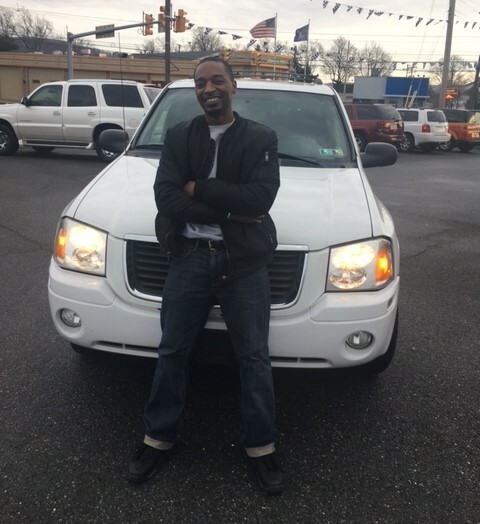 Jermell signed up for TANF and was immediately referred to the Work Ready (WR) program at BCAP on September 14, 2015. The family moved into transitional housing on September 25, 2015. His next hurdle was to find safe childcare for Aaliyah. He had registered in the local emergency shelter’s day care, but he wasn’t happy with it. He needed something closer to their new home. He had found a part-time job as the night auditor at a local hotel on November 1, 2015 which necessitated childcare during the night hours. He researched several day care centers and found the one he felt was the safest for his daughter; on November 19, 2015, she moved to the new daycare. Jermell completed weekly one-on-one counseling sessions with Stephan and with WR staff. He participated in one-on-one job searches. He faced multiple co-parenting issues, but he never gave up. He worked with Stephan, as well as Elizabeth Fortuner, his Family Center Parent Educator. He consistently volunteered to help at different BCAP events, including those with the Berks CAP’s Kids and Youth. Finally, Jermell shared his life-long dream with BCAP staff. He wanted to work with city youth. He wanted to teach them how to play sports, encourage them to stay in school, and help them avoid at-risk behaviors. He also knew he would never be satisfied working part-time. He knew he needed to find other employment with better hours. Stephan encouraged him to speak to the local director of the Boys’ and Girls’ Club. He did, and on October 1, 2016, Jermell became the assistant director of the Olivet’s Boys’ and Girls’ Club.